Safe Sleep from the Start - HALO Bassinet & Swaddle Giveaway! Having a baby is not only an exciting time, it can be a bit scary as well. Particularly during the night time, when you worry about your child’s sleep. Although I’d heard plenty of times that it is important to sleep when baby sleeps…. It always seemed this was easier said than done. Instead, I’d find myself rocking my baby to sleep… then watching them the entire time to make sure they were okay! If this sounds familar, no need to be ashamed. This is totally normal. You may, however, be happy to know that there are tips and tricks that you can use to promote safe sleep for your little one form day one! Using a HALO SleepSack Swaddle is one way to go about this. 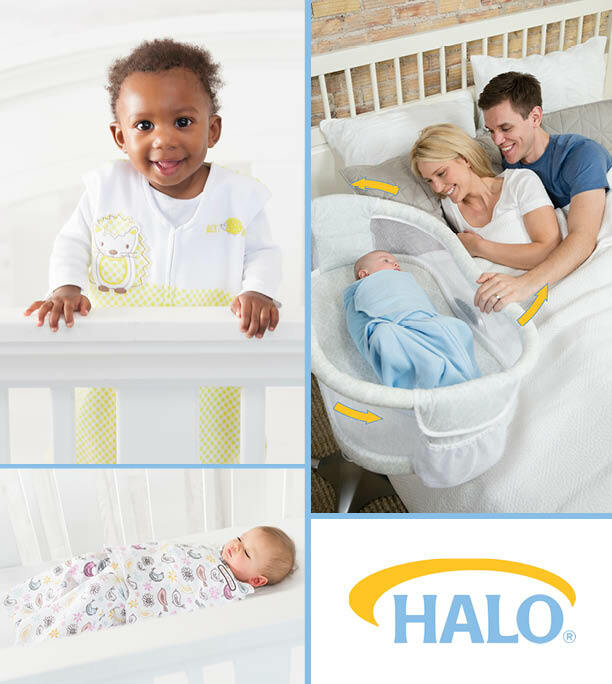 Between July 20th and 26th, you can enter the HALO “Safe Sleep from the Start” campaign, where one lucky winner will receive a free HALO Bassinest and HALO SleepSack Swaddle! Simply upload a picture of your baby using the hashtab #Halofromthestart and you’re entered! Easy as that! Disclosure: A gift was received for sharing this information with our readers. As always, all opinions are my own.